This newer two-gene Clearfield variety , Brawl CL Plus * has much better tolerance to Beyond herbicide than one-gene Clearfield varieties, giving the producer better grass control. Brawl CL Plus is well adapted for both dryland and irrigated production in Eastern Colorado and Western Kansas and Southwestern Nebraska. 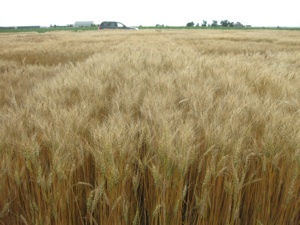 IT is a very high-tillering variety that con recover well if stands are thin early. It has a very good milling and baking quality, very good drought tolerance. *This is a patented variety – no seed can be saved.